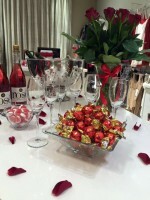 We celebrated Valentines Day in style, Thank you Chocolat Frey! 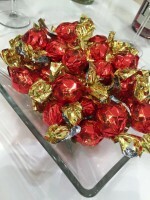 Our shoppers were treated to bubbly, Mystery Discounts and chocolates by Frey! If you haven’t heard about this delicious Swiss chocolate range you’re missing out! The brothers Robert and Max Frey laid the foundation for Chocolat Frey’s success story in 1887. Their passion for the finest chocolate products still lives on today and is expressed in every single product made by Chocolat Frey. Here are some special moments we captured in store.